Rob Handbury is a TDC Director who lives in Lucindale SE SA with his wife Eliza and 3 children. He was brought up near Harrow in the Western District of Victoria. 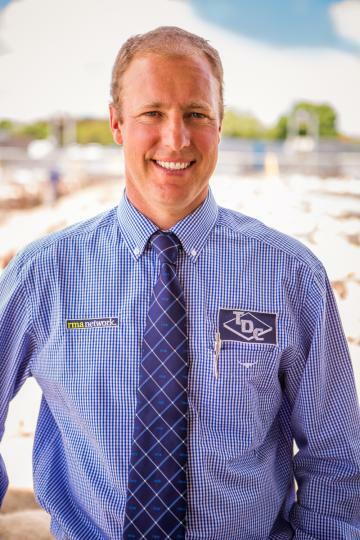 Rob studied Farm Management/Agribusiness at Marcus Oldham College finishing in 2002, and has resided at Lucindale since. He started as a stock agent with TDC in 2009. He is a qualified property sales representative in both SA & Vic. Rob has a keen interest in the outdoors, fitness, the local community and people. Here we have for sale a large double allotment on 1 title which measures over 2,020 square metres. Situated on the corner of Urbrae and Gum Ave with 50.29m frontage to Gum Ave and 40.2m frontage to Urbrae Ave. This vacant building block has access to all of the towns services Eg: water, effluent and power. Priced for quick sale.